On February 13, as China's first application for registration of sound trademark, "Sound mark of China Radio International" by the Trademark Office under State Administration for Industry and Commerce （hereinafter referred to as the Trademark Office） was approved through primarily examination into the notice period, becoming China's first registration of sound trademark. 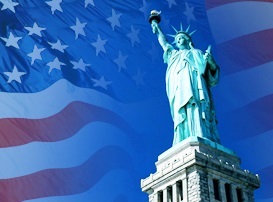 It is reported, on May 1st, 2014, China formally implemented the current Trademark Law, and the Trademark Office started to receive and examination sound trademark and issued " the formative and substantive examination standard on sound mark （Trial）", which defined the concept of sound marks that sound mark means a trademark that can distinguish the goods or services according to the sound source. A sound trademark may be constituted by the sound nature of the music, such as a piece of music; may consist of non-musical sounds of nature, such as the sounds of human or animal; also can be music by the nature and both the nature of music and the non-music sound. Chinese Trademark Net data shows that, since May 1st, 2014 Trademark Office started receive and examination sound Trademark application. And by the end of January this year, the office has received 450 sound trademark applications for registration. 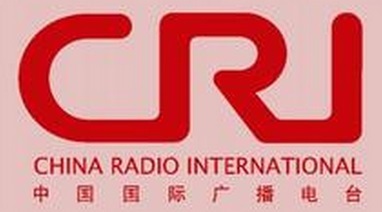 According to Chinese Trademark Net, the “sound trademark of China Radio International”， lasting 40 seconds, is the starting music of this radio program. Different from word trademarks and figurative trademarks or other visible traditional trademarks, sound marks are to help consumers distinguish a particular source of goods or services through hearing. According to the regulations of China Trademark Law, the situation like staves or notations without clef and musical notes, the staves or notations containing the names of the song, the too simple text description, the unclearly recognized sample sound, trademark description inconsistent with sample sound, do not meet the requirements of sound trademarks. The sound trademark substantive examination introduces the same standard with visible trademark, including examination of the disabled terms, the salient features, common or similarity features. For the examination of disabled terms, according to the Chinese Trademark Law and Trademark Law Implementing Regulations, the same or similar sound or melody with Chinese or foreign national anthem or The Internationale, religious music or the sound of terrorist or violence and other sounds with adverse effects are prohibited to be registered. Meanwhile, the application for registration of the sound trademark needs the examination of salient features. The sound of direct representation on the designated goods or services, consumers and other features, but lacking of distinctive character cannot be registered as a sound trademark; other sound lacking the salient features, such as simple or ordinary tone or melody; a complete or long song or music, common slogans sang or called directly in the usual tone, the industry common music or sound, cannot be fit for sound trademark registration. In addition, the application for registration of a sound trademark still needs examination on common or similarity. In principle, a sound sample for sound trademark needs to be heard for the examination. If two sound trademarks, a sound mark and a visible trademark are easy to cause the confusion to relevant public on the produced sources of the goods or services, or there is a specific link between both, they will constitute the same or similar trademark.